Chop up all of the veggies, slice the onion, and mix together with the salt and pepper. 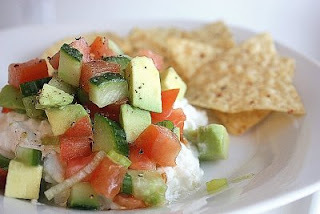 Serve over cottage cheese and eat with tortilla chips. Oh yum!